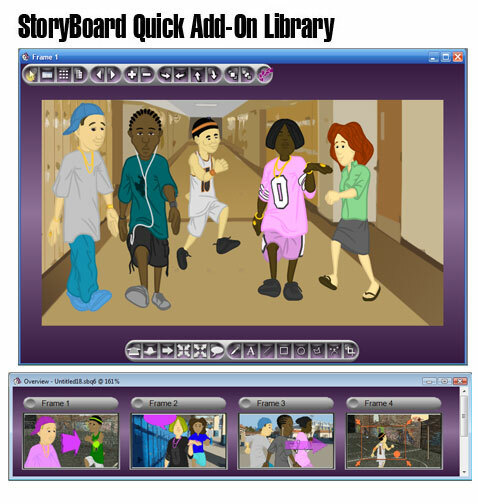 The Urban High Characters Add-On for StoryBoard Quick and StoryBoard Artist gives you a new edgy, youthful colorizable look for your next film, video, after-school special or educational presentation! 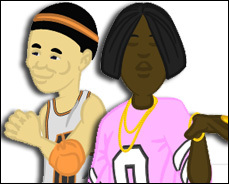 Great new stylized, colorizable vector actors will help you give a whole new look to your next project! Five young actors in all of the Quick positions and rotations allow you to get the look that all the kids are going for! Get the new Urban High Add-On Today! These colorizable teens will give you that high school look and feel for your next show or presentation. It's all of the attitude and style of the teenage set without all the talking back! 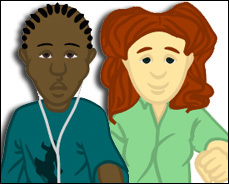 Teens can be know-it-all's — well now you can be a Show-it-all with this club's help. Three boys and two girls who are ready to attend your storyboards and make your boards A+. So whether you are working on a teen drama, high school sitcom or educational video, check out Urban High and take your boards to school!